Red-rumped swallow Cecropis daurica, photographed by Eio Ramon. 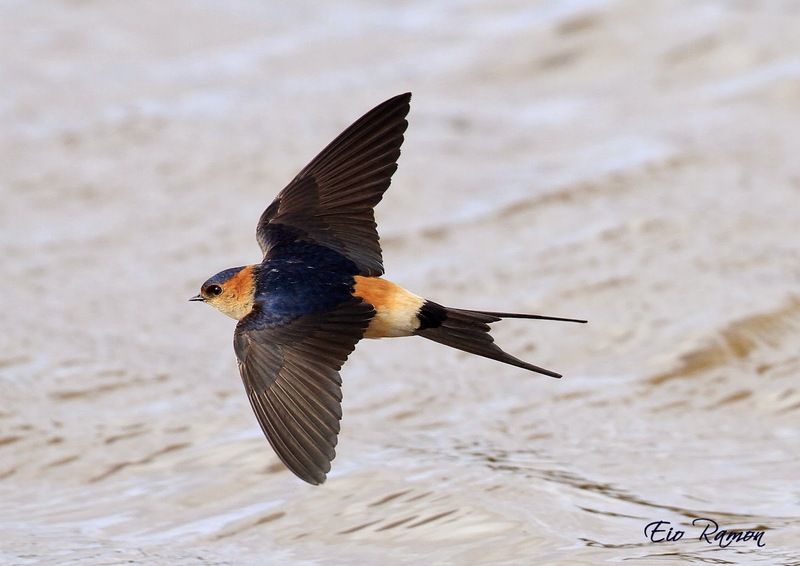 The genus Cecropis includes the striped swallows, and is found in Africa and tropical Asia. Members of this genus have slender tails, red rumps and often streaked underparts, and build closed nests with an entrance tunnel.